John Paczkowski, of All Things D fame, is reporting that Microsoft CEO Steve Ballmer will deliver the kick-off keynote address during the 2011 Consumer Electronics Show (CES) in January. 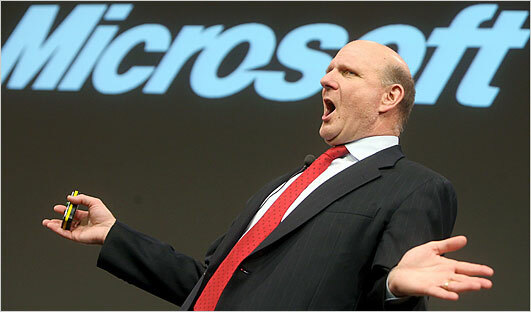 "This will be Ballmer’s third time headlining CES, and after his first two appearances, I don’t think anyone’s expecting too much. The highlight of his 2009 keynote: The widely expected announcement of the Windows 7 beta. The highlights of his 2010 address: An ill-starred Windows-based tablet and Project Natal, a controllerless game interface system the company debuted at E3 months earlier." If "The Other Steve" wants to keep things interesting, he will have to really play up his company's new Windows Phone 7 operating system and have a slew of OEM and carrier partners on stage to help launch the new phones. You can read the full article on the DigitalDaily website.